Dogs have a unique body language just like people. However, when you learn to interpret your dog's body language, you can better understand what he or she is saying based on their body, ears, eyes, and tail. Understanding your dog's body language is important and helps you learn what other dogs you are unfamiliar with maybe telling you. When your dog is happy: Most people with dogs know when a dog is happy because body language is easy to read. 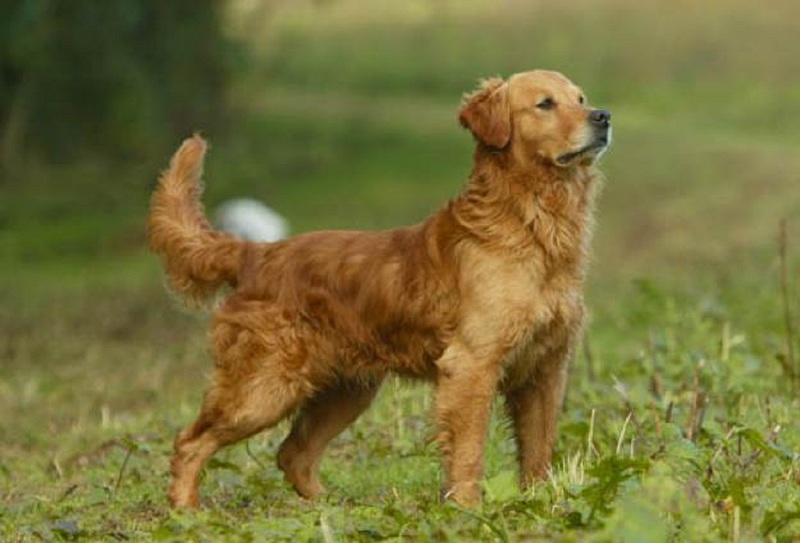 The tail is usually wagging fast, and the ears are perked up, eyes wide open and mouth relaxed. The body is straight, but the back can be wiggling with the tail wagging. A happy and exciting language is easy to read. The Anxious Dog: When your dog is anxious, you can read them in their body language. First, their ears will be partly laid back, while their eyes are not as wide open as when they are happy. They close their mouth, the body seems tense and they may even be lowing slightly as with the submissive position. The tail will be partially down, and the dog may whine. Dogs with anxiety are usually those that have separation anxiety when they know that their owner is leaving or they are in an unknown area. The Fearful Dog: When a dog is fearful it can often be mistaken for aggression that is why it is important to notice the differences. First, his or her ears are usually flat on the head, whites of eyes will be showing and the eyes will be showing and the eyes are squinted or narrowed. Moreover, the body seems tense, crouched down and the dog may be shivering, and his backside is at a downward angle with tail tucked between the hind legs. Some frightened dogs will whine or even yelp depending on the situation. The Alert and Confident Dog: This is often confused with the happy body language because they can be very similar in many ways. For example, the dog ears are straight up (or perked up if you have a floppy-eared dog), eyes wide open without any white showing, their body is relaxed and stand straight, with its tails (if your dog's tail curls naturally, then it will be in the back). There is usually no barking or whining when your dog is simply alert. Aggressive Dog: Aggressive body language is very easy to read because the dog looks violent, makes snarling and growling noises. Usually, the ears can be back or forward, the eyes fixated on the target, lips open, teeth showing (snarling), the body seems tense, and the dog is in a dominant position on all fours with the body hair puffed up, and the tail straight in the air. Final Thoughts: By knowing the various signs of your dog or another dog body language, it can help you understand what your dog is trying to say or feel. If you see a dog that you are not familiar with taking the aggressive stance, you should slowly move away from the dog as quickly as possible to protect yourself.